Egypt is currently facing water shortages, with threats of an absolute water crisis looming overhead in the near future. 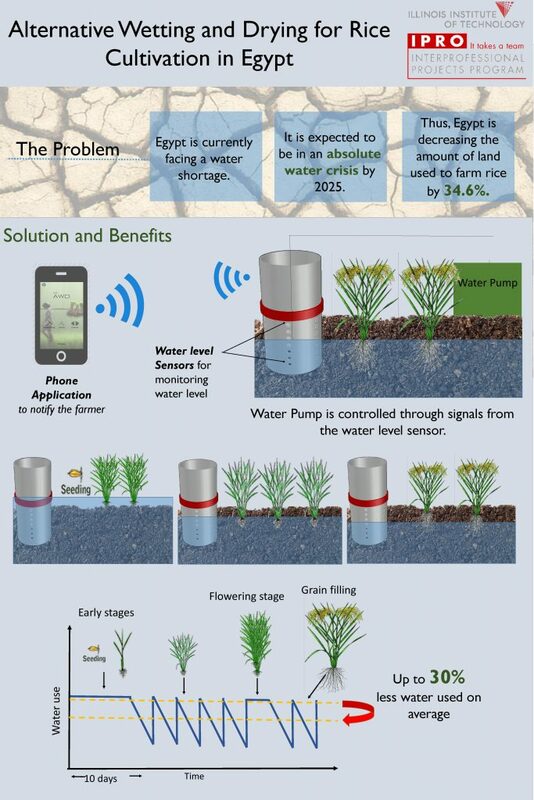 The water solution that this team developed would track ground water levels via sensors and alert farmers to these levels. The system would allow farmers to better utilize the water that they have available resulting in a 30% decrease in water use on average.